I love this stage of learning, where everything is new and exciting. 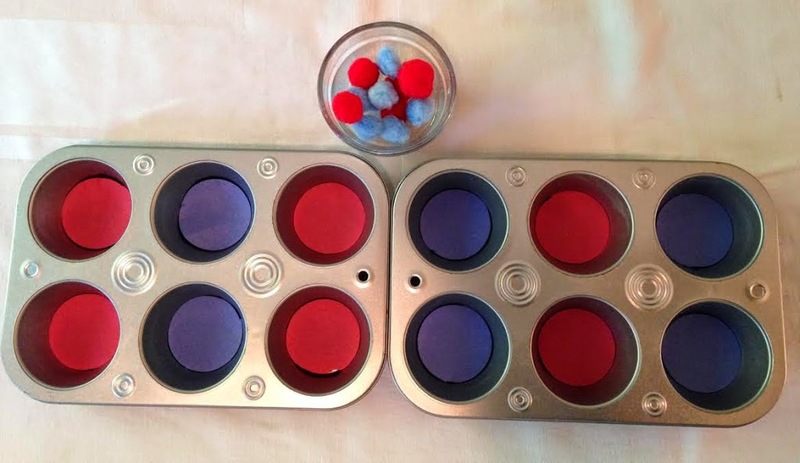 In fact, today I am going to share with you easy and fun ways for Teaching colors. 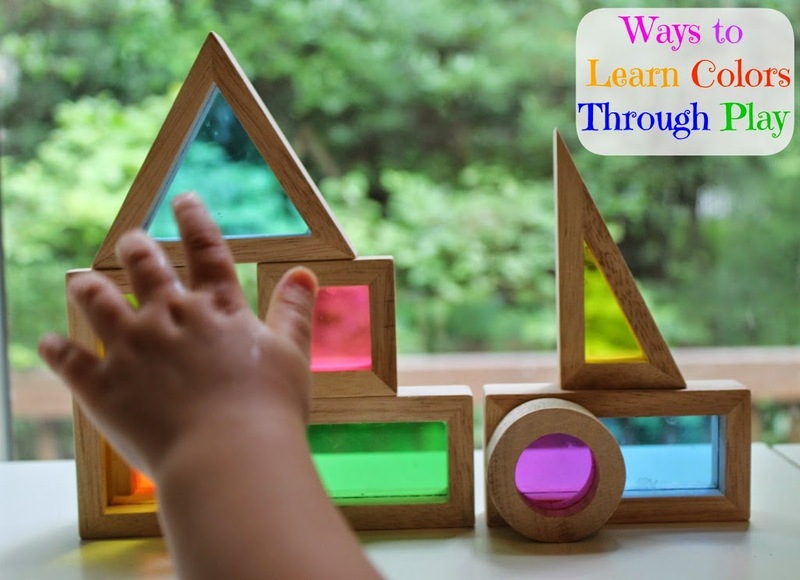 Toddlers are naturally attracted to bright things, so why not use that excitement to teach them. 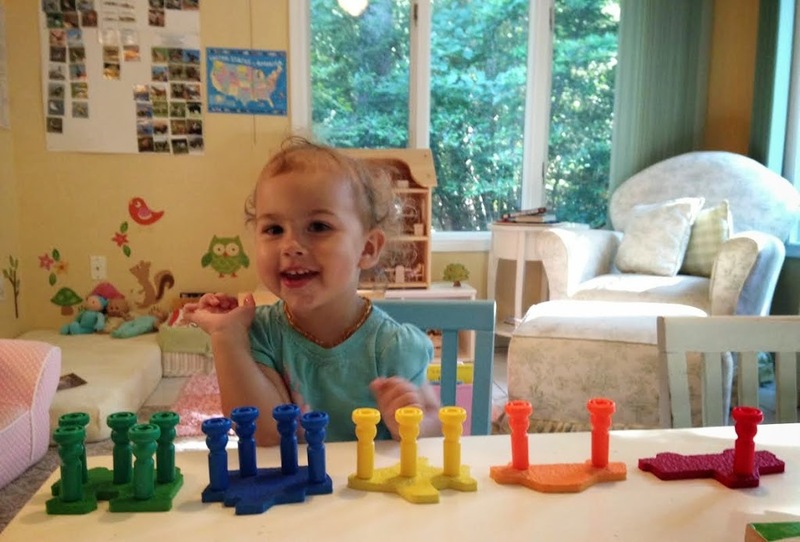 Learning colors is an abstract concept for young children and can take a lot of time and patience. 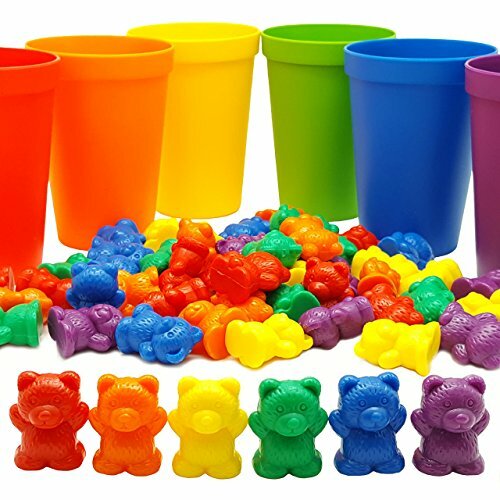 Some kids may pick it up quick, and others might take a year or more to fully understand the difference in colors and be able to name them. The best thing is to apply color learning and activities in your everyday life. This is one of Bells favorite activities. Spray the cardboard circle with spray adhesive than tack down each triangle piece. As for the colored items used to match the colored triangles, I just collected them from around the house. As you can see here, I tried to get some different shapes in too. 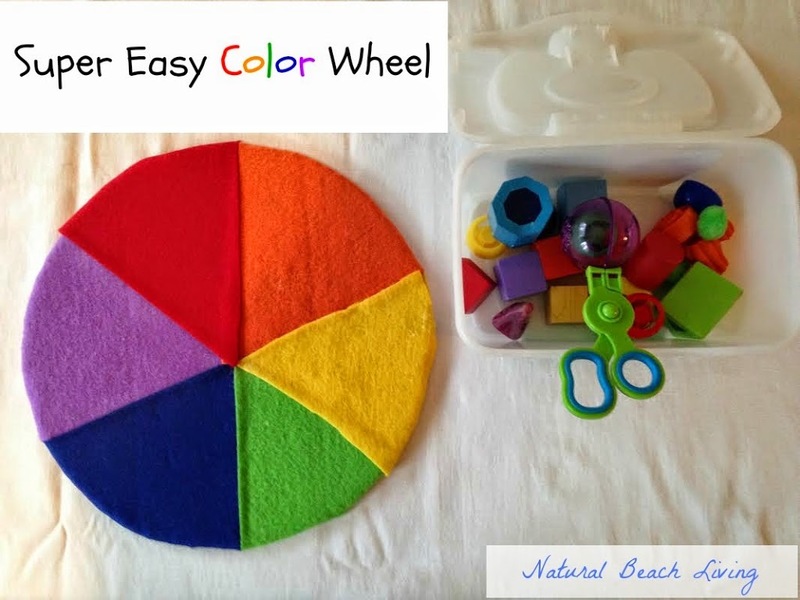 Here is the color wheel in action. 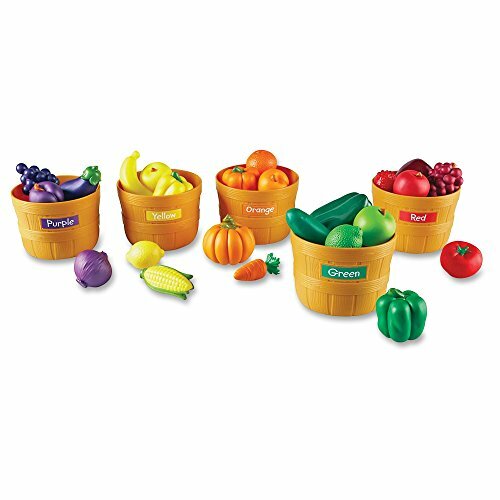 For the younger children, they can pick up objects using their hands, for the older children you might want to try tongs or a scooper. 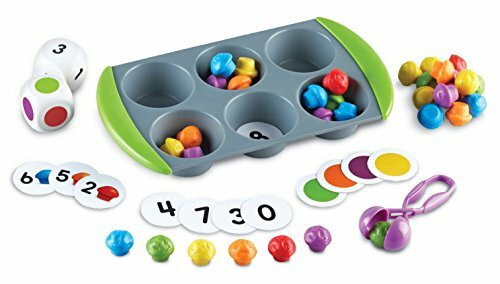 This helps with working their fine motor skills. 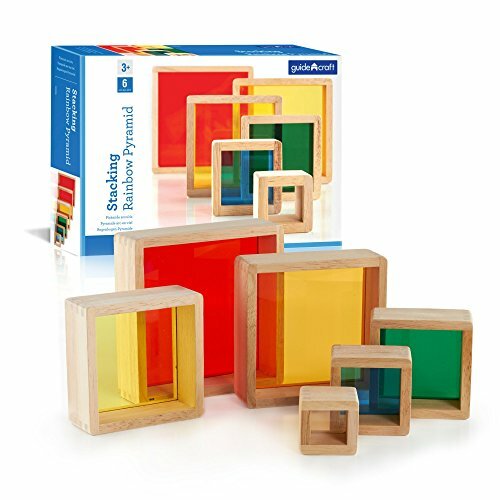 Our favorite blocks are the Guidecraft Rainbow Blocks . The kids will play with them for hours. I love how you can place the blocks one in front of another and make a different color. It’s awesome! 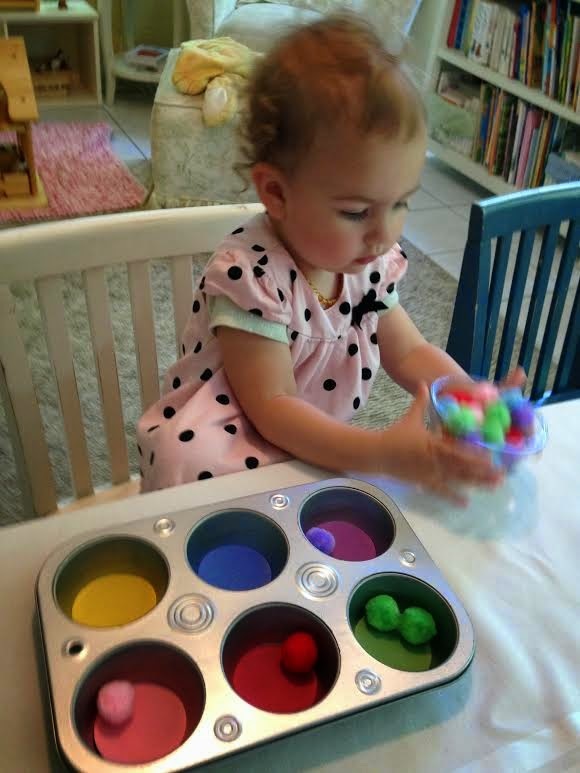 Color mixing with out any mess. They also are incredibly beautiful when the sun is shining through them. 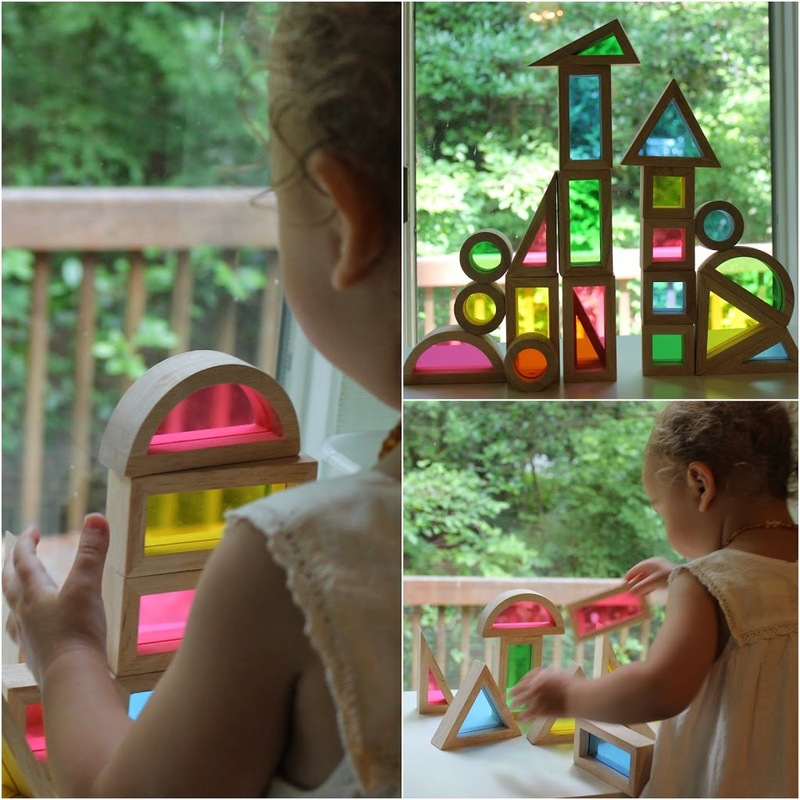 These blocks light up the whole room with colors. Watching the children explore these blocks on their own is a lovely sight. 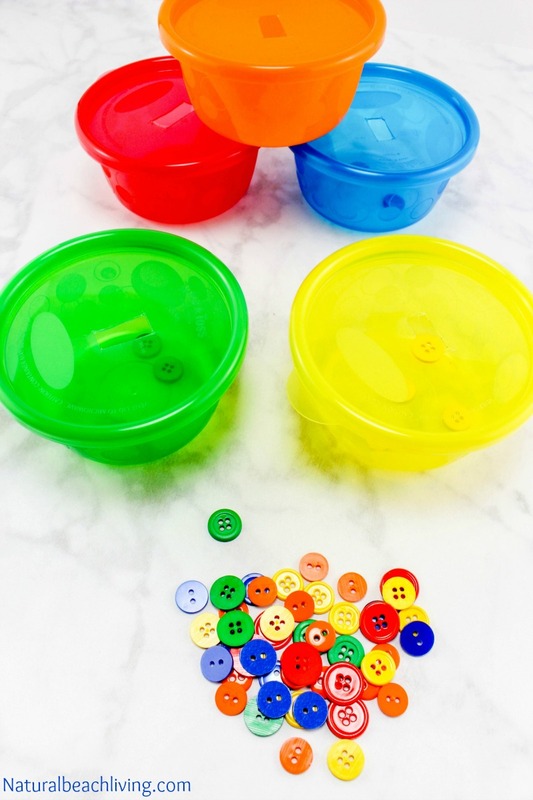 Another quick and easy DIY Color Activity. 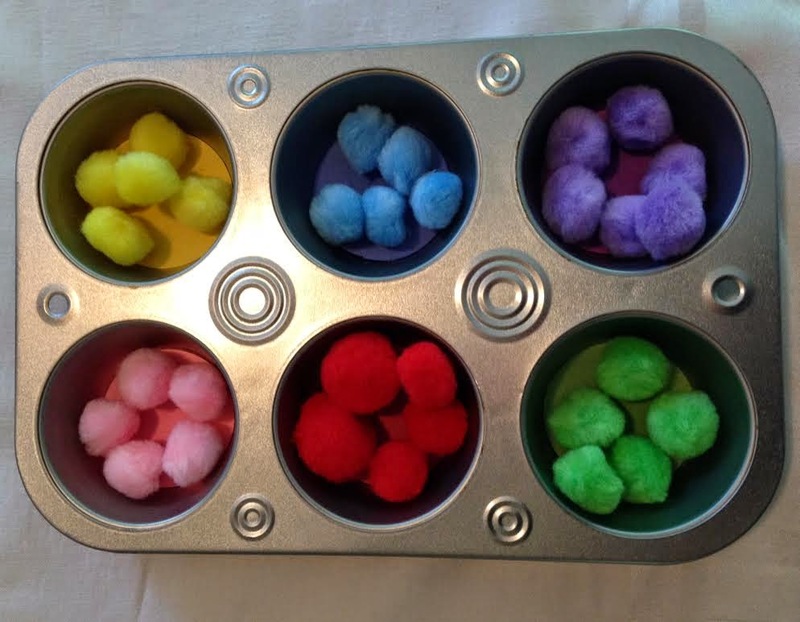 Cut circles out of construction paper and use craft pom poms in the same colors. I started by showing Bells how to take one ball at a time out of the bowl, look at it, then look for the matching color spot. Checking each place for the correct color. I did this with all of the pom-poms so she could get the feeling of how to do this activity. You can start out with 1-3 balls in each color and work your way up. 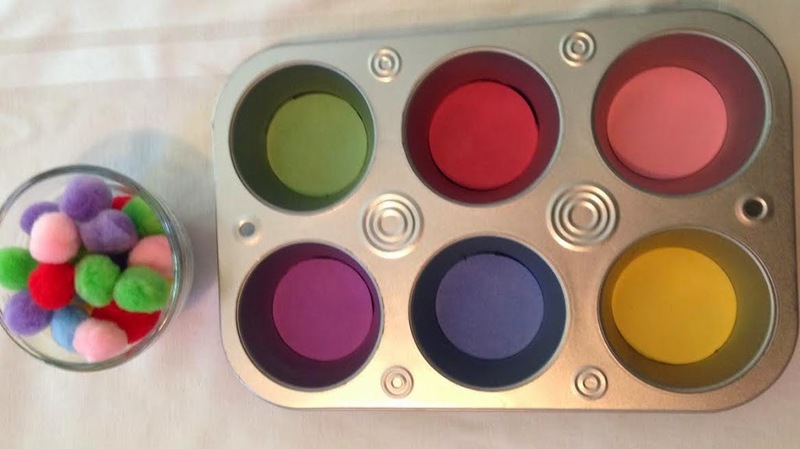 Easy color activity to put together. You can also work math into your learning by making patterns. Genius! 1. Pick a color card and go on a scavenger hunt for things in your house. 2. Play hop to the color. Place the cards around the floor, or in a circle and have your child hop to that color as you call it out. 3. Sing songs or make up silly rhymes about each color. 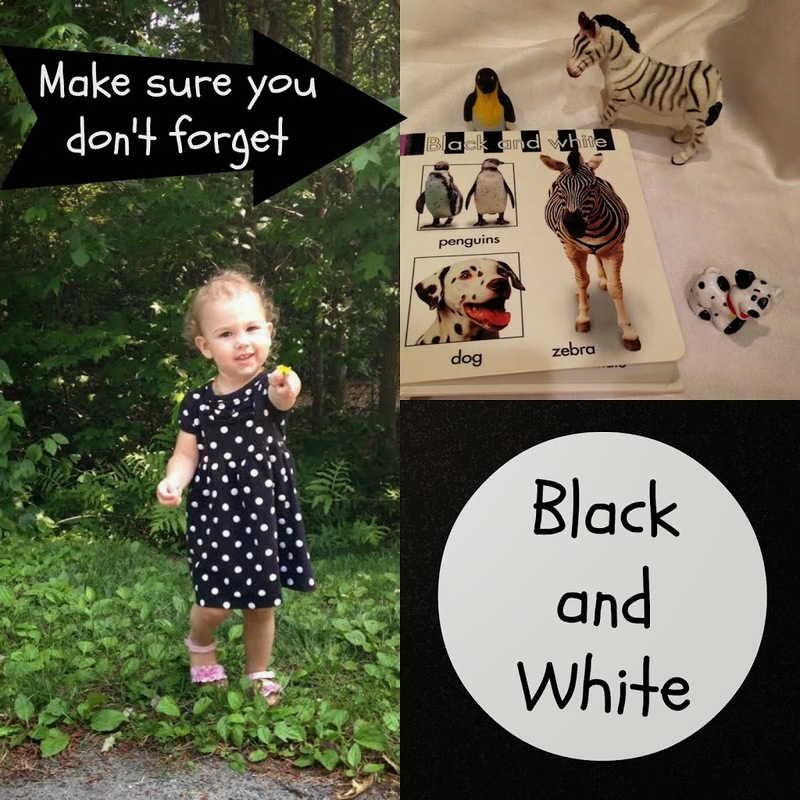 Hold the color card up for your child and sing/rhyme. You’ll have them laughing and playing, all the while they are remembering those colors. These color cards came from Confessions of a Homeschooler. I printed them out and laminated them for durability. It is great if you can have a few fun, educational items to use. We love peg boards. Not only is Bells learning her colors, but we are also working on language development and fine motor skills. Calming Bottles can be such a joy in any room. They brighten up a space and the children love looking at them. At the same time you can use teaching moments to talk about the colors. 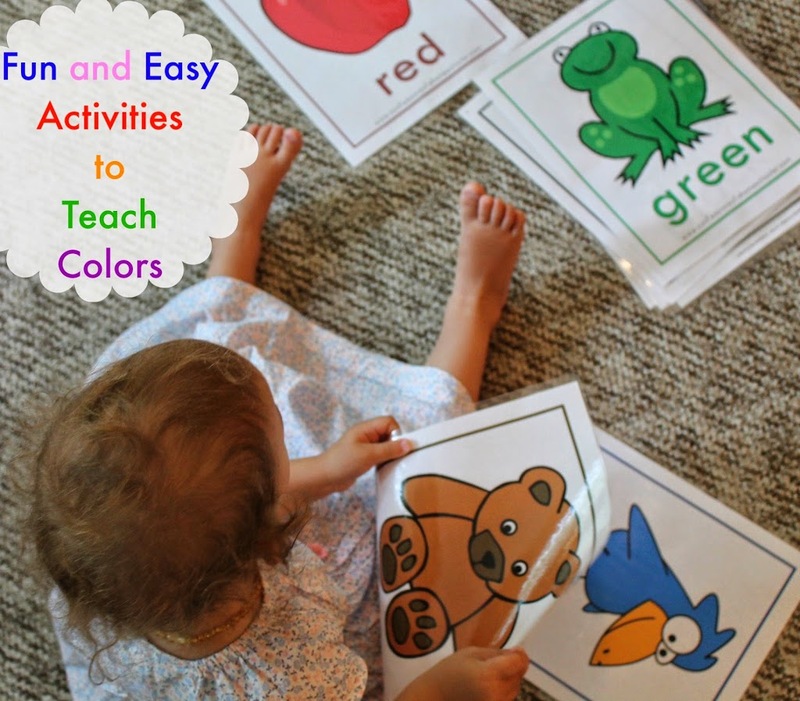 Looking for other great themes and activities for learning colors? Hi! 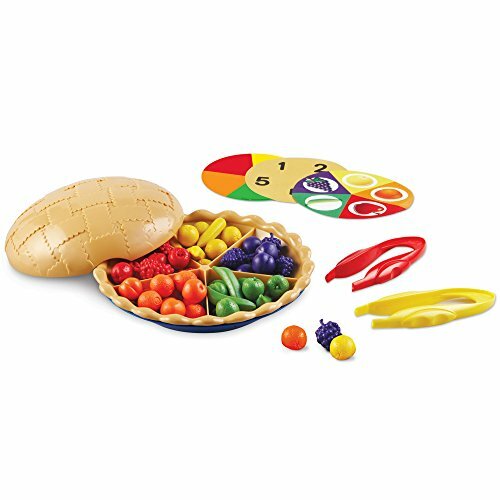 I recently wrote a blog post about my favorite Rainbow gifts for kids, and I included a link to this article because your pictures of the Guidecraft Rainbow Block Set are amazing! Love your blog! It’s very inspirational! Great ideas! I love them all! I’m wondering with the colour wheel if you found the space was defined enough? I was thinking bowls for sorting so I think the muffin tins will be perfect! And easy to do, always appreciated. 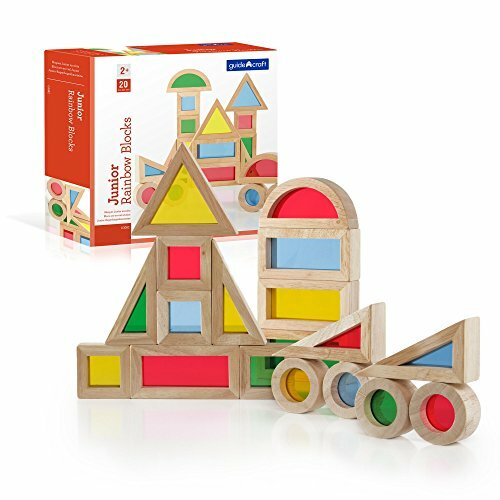 Those blocks are making their way to my wish list – beautiful! And I love hearing how your children use and enjoy them. Thanks for sharing! I love the game with the cards! so easy and could be so much fun. Is there any printable that you could share? These are awesome – I love all the colorful ideas! 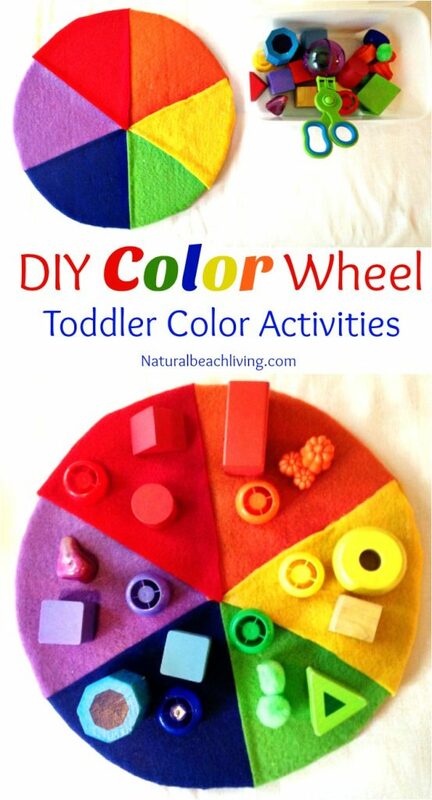 That color wheel and those blocks are my favorites – pinning! These are beautiful ideas Kim. They make me wish my kids didn’t know their colors yet! Brilliant ideas. Looking forward to trying them out with my two year old. So cool! I will have to add this to my list. we are struggling with colors in my house. 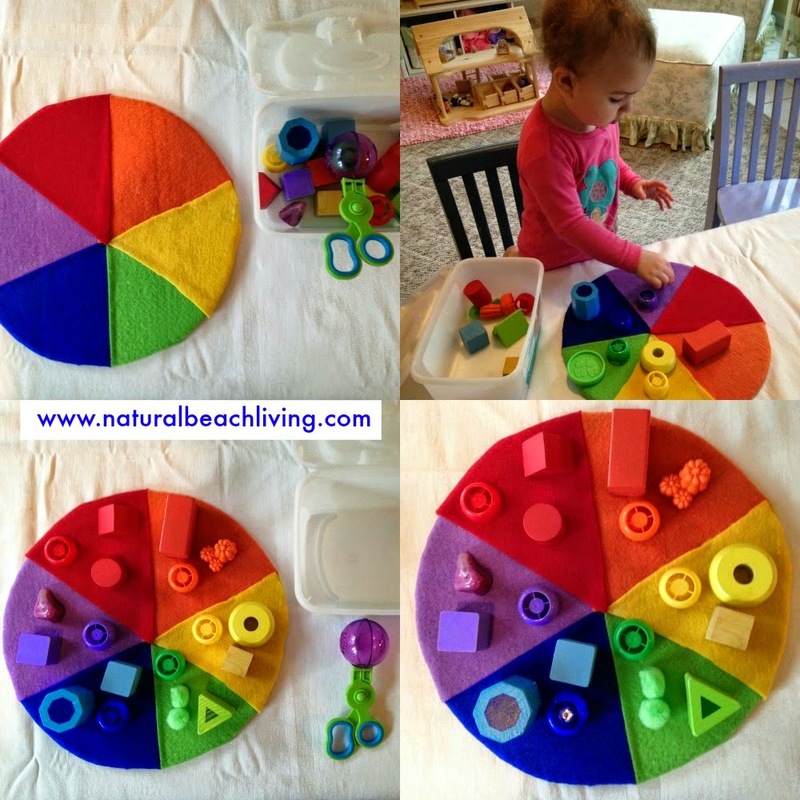 I love the simplicity of the color wheel and the muffin tin activities! So cool! These are great! 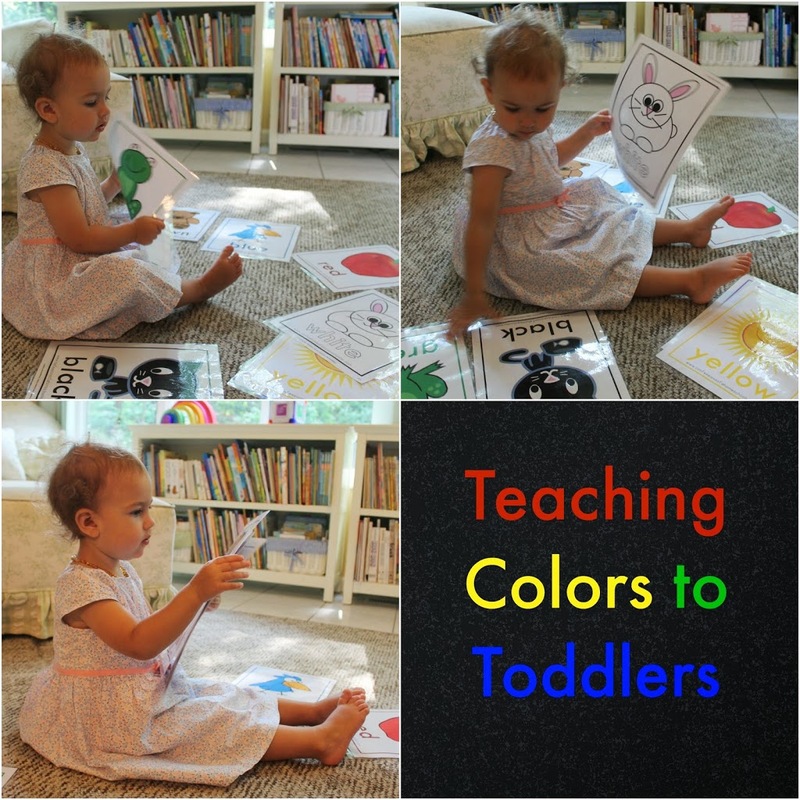 We really need to get more color learning into our tot school routine, and I can’t wait to use some of the ideas you’ve listed 🙂 How wonderful! I think that pinwheel work looks like a lot of fun. I need to pick up some more felt and get crafting! We love colour! I want to come play at your place! 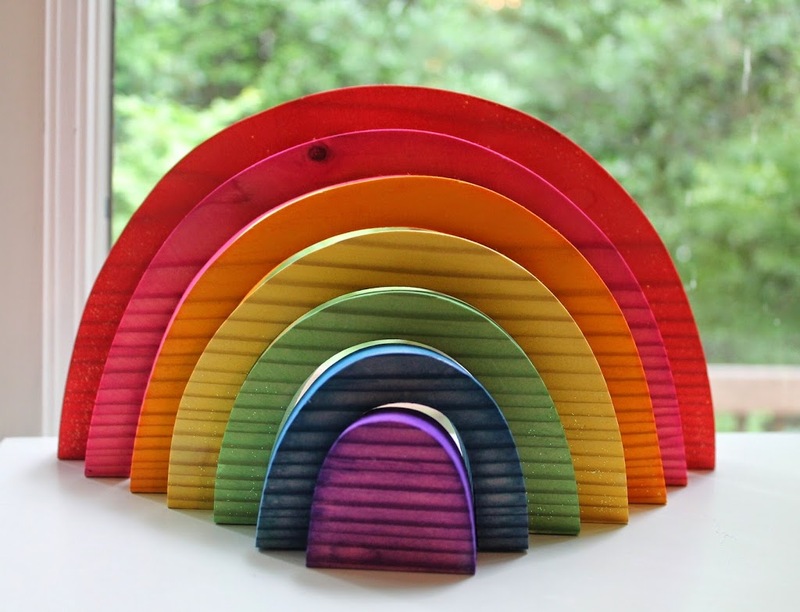 I adore your rainbow blocks with their natural wood grain showing through. I love the color wheel! 🙂 Super fun ideas. 🙂 Pinned!